A multivitamin-mineral supplement with antioxidants that helps the normal growth and development, prevents the vitamin B3 deficiency, and maintains a good health and immune function. 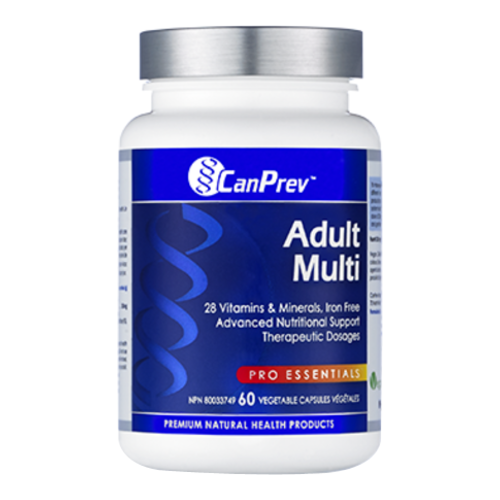 Make Adult Multi your daily policy for maintaining best health. - Vegetable-grade magnesium stearate, vegetable capsule. • Adults - Take 2 capsules per day with food, a few hours before or after taking other medications or as directed by a healthcare practitioner.